The fall foliage alone in Connecticut during the is breathtaking, but your lawn should also take your breath away. If you’re finding that you have brown spots or trees and shrubs that are lacking luster, it’s time to prepare your lawn for the upcoming seasons with some fall lawn care. Naturally Green is happy to help. First, let’s look at what your greenscapes need when fall rolls around. When the weather starts to cool off, moisture can build up on your grass. This moisture can make your lawn susceptible to browning, bacteria, and disease. 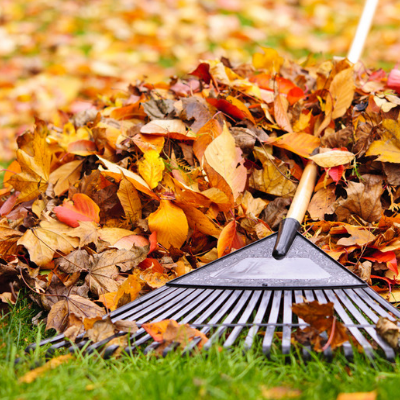 Make sure your lawn is prepped for the winter by raking up leaves periodically and removing debris and branches from your yard. Don’t stow away that mower just yet. During the fall months, your grass is still growing. Keep mowing your lawn until that first freeze of the season hits. Consistent mowing with a higher mower height helps to ward off bacteria or mold that can settle into your grass. If time is not on your side, utilize the lawn care services from Naturally Green. Take advantage of the cooler weather to get your lawn in tip-top shape before the winter. 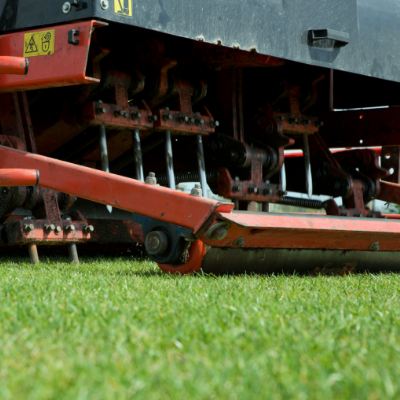 Aeration is an essential task since it helps loosen up the soil and allow oxygen and nutrients to circulate in the soil. In addition, fall is also the perfect time to overseed, filling in some of those gaps in your lawn’s growth. Aeration and overseeding help to fortify the strength of grass roots, reduce stress from droughts, and enhance the immune system of your trees, shrubs, and grass. Keep those weeds from sprouting in the spring with a weed control treatment in the fall. Naturally Green can provide a comprehensive weed control treatment to preserve your shrubs, trees, and grass while also helping to eliminate rodents, critters, and insects from taking over your greenscape. Your time is valuable, which is why employing the services of Naturally Green is a viable option. Our experts can help spruce up the look of your lawn, winterize your greenscapes and treat for ticks and fleas. Find out more by contacting us about our comprehensive lawn services or call us at (203) 230-9212.